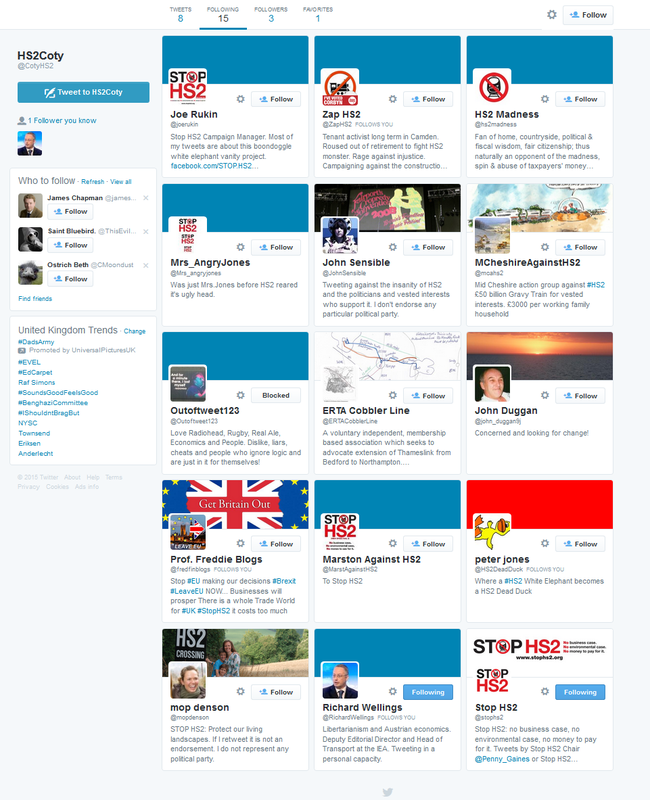 It’s time to crunch the monthly Stop Hs2 social media statistics and see how their ‘campaign’ is faring – and the answer is not very well at all! Their ‘relaunch’ was a bit of a fiasco and the blizzard of tweets and facebook posts has reduced to little more than a flurry. Meanwhile, the ‘action’ on their website barely registers a pulse! First off is Facebook. In October they managed 48 posts, this has now slumped to 22. As us usual is all reactive, not proactive. There’s no campaign news because there’s nothing going on. All that gets a mention is that their grandly titled ‘Chair’ (what’s she chairing in Bournemouth? Ed) Penny Gaines has been dragged to the phone to give another interview to the media. There’s no news from any ‘action’ groups as there’s not real action going on. All you get is posts of anything in the media that’s critical of Hs2, such as someone writing a letter to their local rag. Here’s the numbers crunched, with last month’s as a comparison. Despite them having nearly 200 more followers to almost hit the 9000 mark, the numbers are actually pretty pathetic. Remember, there’s 6.5 million people living in constituencies that Hs2 passes through, so, even if all the folk who follow them on Facebook actually lived on the route, they’d still only have reached 0.13%! That’s pathetic. Mind you, when you read some of the comments that get posted, you can see that this isn’t exactly the intellectual end, some of it’s plain barking! Now let’s have a look at Twitter. Not exactly setting Twitter alight, are they? A 61% decrease in tweets. The show’s over folks – the ‘relaunch’ has sunk without trace and numbers are returning to normal, despite a 3% increase in followers too! Mind you, 3% of sod all was never going to make much of an impact anyway! 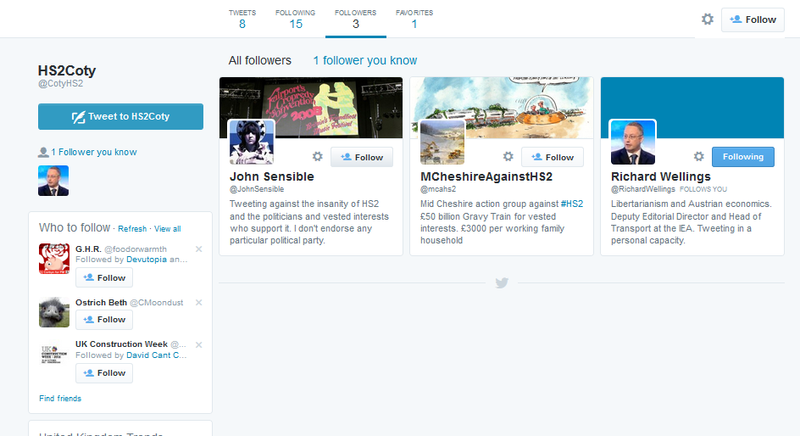 An average of 21 retweets from 6363 followers is pretty unspectacular when it come to getting any message out! Oh, and don’t forget the usual caveat, many of these Facebook and Twitter followers won’t be supporters. They’re just there to keep an eye on what they’re up to, so the numbers are worse than they look. Whilst you’re here, please take a moment to click on an advert or tow, they help pay for this site and allow me to keep blogging. Many thanks!